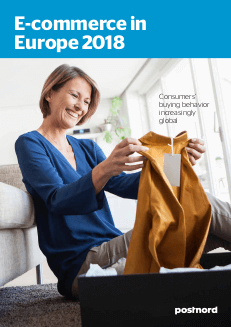 The ”E-commerce in Europe” report presents the e-commerce perspective of 12 European countries – Belgium, France, Germany, Italy, Netherlands, Poland, Spain, United Kingdom and the Nordic countries (Denmark, Finland, Norway, Sweden). E-commerce continues to expand in Europe and today close to 270 million Europeans, in the countries covered by this study, regurlarly shop online. Another emerging trend which is becoming clearer every year, is that more and more people are buying products from outside the borders of their own country. E-tailers that have a strategy for meeting the expanding demand for cross-border e-commerce will be tomorrow’s winners in the European market. Straightforward information about what the total price will be is an absolute must for European consumers. Being transparent about the price of the products, shipping costs and other possible fees makes consumers feel secure and increases their purchasing conversion rate. Relevant information and pictures of the products are other important success factors for being competitive in the European markets. Mobiles are becoming more or less synonymous with e-commerce, and are a key factor in the strong advancement of this sales channel during the last years. Previously, mobile maturity has varied sharply across Europe but is increasingly becoming more even. For Europe as a whole, six out of ten consumers have used their mobile phone or tablet for shopping in the past year. I agree to Direct Link’s processing of the above information for the purpose of handling my report order. I would like to keep in touch and may be contacted by Direct Link in the future.